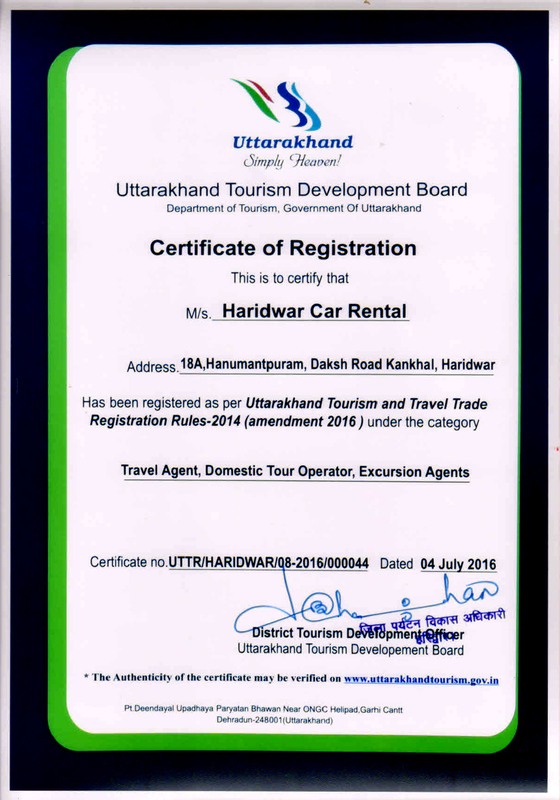 For all your transport requirement in Uttarakhand to visit various places of tourist interest. Whether you are traveling on leisure or business please contact us to get the best and most modern transport fleet at affordable rates. Haridwar Car Rental (Regd.) provides best car hire, car rental, coach hire. Haridwar Car Rental (Regd.) will be pleased to serve you for all your car requirements and has good transport fleet to provide – Swift Dezire, Tata Indica, Tata Indigo, Tavera, Toyota Innova, Tempo Travellers, Mini Coach, Large Coaches anywhere in Uttarakhand as per your requirements. All our vehicles comes with a chauffeur driven. has targeted to provide globally car rental services in India Uttarakhand with prices that compete with the other rental car providers. Most important we guarantee for the safety for our clients on road, by providing them well-maintained cars with experienced chauffeurs.